Do practice safe medication management. 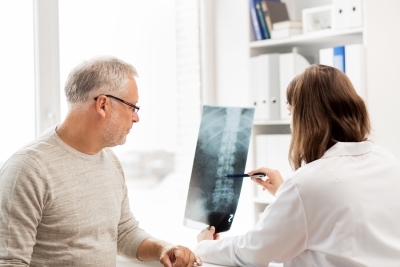 The primary purpose of herniated disc surgery is to decrease your pain by correcting the anatomical abnormality. But it’s to be expected that your pain will temporarily increase during the initial phase of your recovery. Your surgeon will give you a prescription for pain relievers. Follow the dosage instructions carefully, and let the doctor know if your pain is not well controlled despite taking the maximum dose. One common problem is when patients try to delay taking a pain pill for as long as possible. If you wait until you’re already experiencing significant pain, then you may be more likely to take too much. Know that pain pills can cause “fuzzy thinking” in some patients. Ask a loved one to keep a written record of your dosages for you to prevent errors. Don’t neglect care of the incision site. Your doctor will tell you how to cleanse the wound and apply new bandages as necessary. Do limit your physical activity. Don’t swim or take baths right away. Unless your doctor tells you otherwise, avoid taking baths, swimming, or using hot tubs for at least one month. You should be able to resume showering in seven days after the operation. In the meantime, you can do sponge baths.